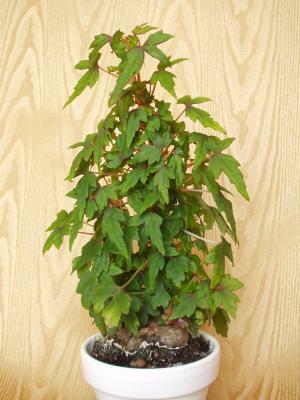 This is actually Begonia dregei var. dregei. The female left and the male flower right. The male left and the female flower right. 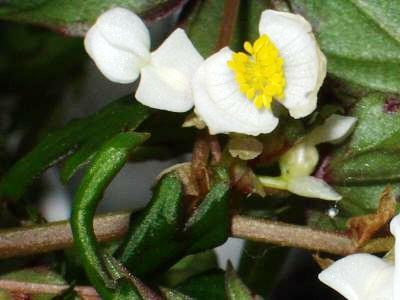 This member of the Begoniaceae family was described by Christoph Friedrich Otto and Friedrich Gottlieb Dietrich in 1836. It is from the Natal province in South Africa. Rich peat with plenty of water and some sun. The caudex will grow to ten centimetres, the stems to 30 centimetres. It can be reproduced both by cuttings and seeds. The very tiny seeds (squares = 5 mm).